Remember Izanagi and Izanami from “Aikido and the Floating Bridge of Heaven“? 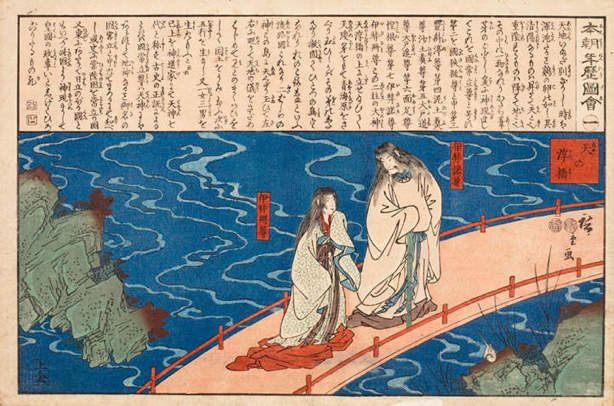 If you don’t, Izanagi and his spouse (and sister) Izanami were tasked by the Gods of Japan to stand on the Floating Bridge of Heaven (Ame no Uki Hashi / 天之浮橋) and create the islands of the Japanese archipelago. But…you really should go back and read the other article first, since the rest of what I’m talking about here will make much more sense in that context. 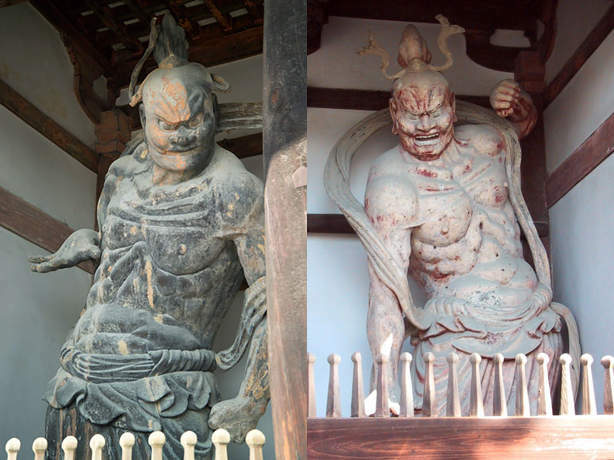 Here’s a fun fact: in the Nihongi, which is the oldest book of classical Japanese history after the Kojiki, these gods go by the names of the “gods of In and Yo” (陽神陰神). O-Sensei was aware of this, and often referred to In and Yo in terms of Izanagi and Izanami. Anyway, I hope that you remember them, because they were a very common element in the speech and writings of Aikido Founder Morihei Ueshiba. If you remember, the male and female gods stood on the Floating Bridge of Heaven and stirred the sea with the jeweled spear (Ama no Nuboko / 天の沼矛), creating a vortex. Drops of salty water falling from the spear formed the first island (Onogoro Shima / 淤能碁呂島), whereupon the divine beings descended from the Bridge to the earth below. So where does the cross come in? The cross was a common theme for Morihei Ueshiba – for example, he would call “Aikido”, 十字道 – the Way of the Cross. 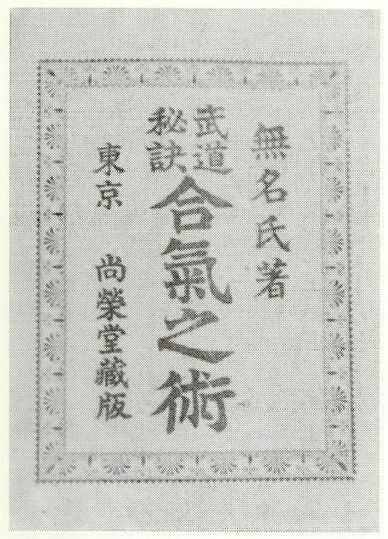 Or in an alternative way of writing “Aikido”, 合気十, the “Aiki Cross”. The reverberation of the Kotodama given birth to by the exchange of the cross of Heaven/Fire/Water/Earth gives rise to all things in the universe, learning this is the way of Aiki. A little abstract, but if we relate it back to “Aikido and the Floating Bridge of Heaven” we see that O-Sensei is actually discussing a technical training method. The creative aspect is also important in this imagery, especially since this is a story about…creation. 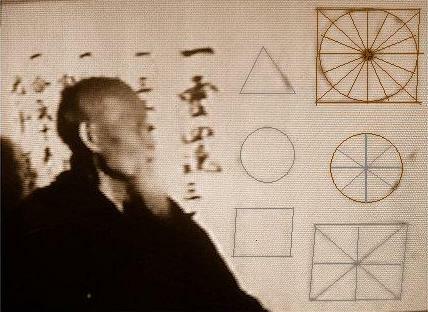 When Morihei Ueshiba used these examples to illustrate his technical method he would often emphasize the creative aspect of this method in relation to technical martial application. That is, the techniques he taught were continuously and spontaneously created (according to his own words) through this method of using the mind and body, through the interplay of In and Yo, Mind and Body, as unified in the technical model of Heaven-Earth-Man. 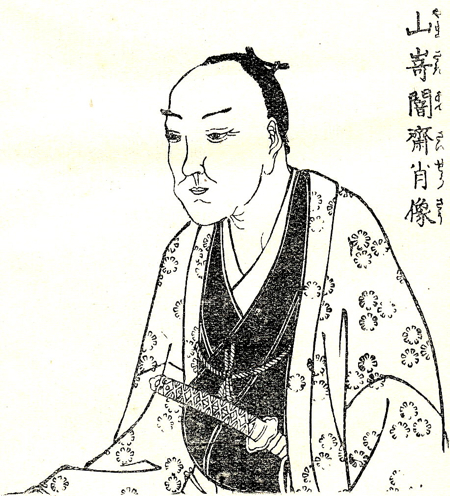 This is strongly underlined in the many statements he made declaring that the techniques themselves are unimportant, and ought to be immediately forgotten once mastered (覚えて忘れる稽古). In 1951, Gozo Shioda, the Founder of Yoshinkan Aikido, tested for 9th Dan in Iwama with Morihei Ueshiba. The test was comprised of two sections – the first, where Shioda faced Ueshiba with a sword but was unable to find any method of entry, and the second, where Shioda faced Ueshiba empty handed. 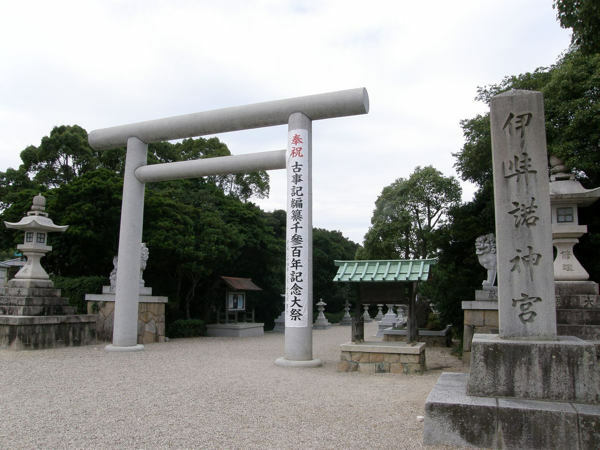 Shioda did better on the second section and was able to successfully find an entry, at which point Ueshiba immediately stopped the test (Shioda passed, despite failing the sword section of the examination). It’s important to note that there were no techniques on the test at all, and that the entire exam really only took a very short time. The judgement made here was on a single touch of the hands – at which time Ueshiba was able to see if Shioda’s body usage was up to standards. It is said that Aikido must first stand on the Floating Bridge of Heaven. It is said that the Floating Bridge of Heaven is the exchange of Fire and Water. Precisely in the form of a cross, it is the world of Fire and Water in harmony. In other words, it is said the this world is created through the two actions of the twin gods Takami-Musubi and Kami-Musubi winding up in a spiral on the right and winding down in a spiral on the left. Fire (“Ka”) and Water (“mi”) become “Kami”, the source of this “Kami” (Fire and Water) returns to the one, but the one becomes the source of the physical and the spiritual. The Floating Bridge of Heaven stands with Mind and Body correctly ordered, it must take the exact form of a cross. Once again, we see Morihei Ueshiba defining “God” (“Kami”) as a mnemonic for the interchange of Fire and Water. This is important to remember when dissecting his statements, which typically contain multiple layers of meaning and information. As with the Floating Bridge of Heaven, we see that Heaven and Earth represent the vertical component of the cross. Further, we see that the role of Fire and Water are clarified to represent the horizontal component of the cross. This also fits right in with the cross of the breath described in “Aiki, Iki, Kokyu, Heng-Ha and Aun“. Now we see the spiral of Fire and Water, the flow of Mind and Body in continuous exchange, between Heaven and Earth. I won’t go into the spirals again, since they were already mentioned as far back as “Morihei Ueshiba, Budo and Kamae“, but there’s another interesting example of the cross. 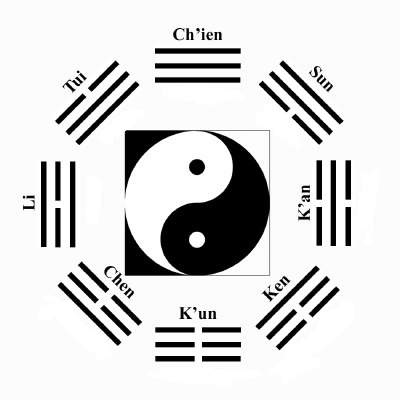 If you remember, in “Aikido without Peace or Harmony” I touched on the eight In-Yo trigrams around the classic Yin-Yang symbol showing the opposing forces in their progression of changes around the circle. Morihei Ueshiba’s 8 powers are represented by 8 trigrams, showing the progression of change – In forces represented by dashed lines and Yo forces represented by solid lines. By now the above diagram should be fairly straight forward – but did you see the cross? And there it is above – the complete diagram of the Yin-Yang trigram changes – the vertical component of Heaven and Earth connected with the horizontal component of Fire and Water.